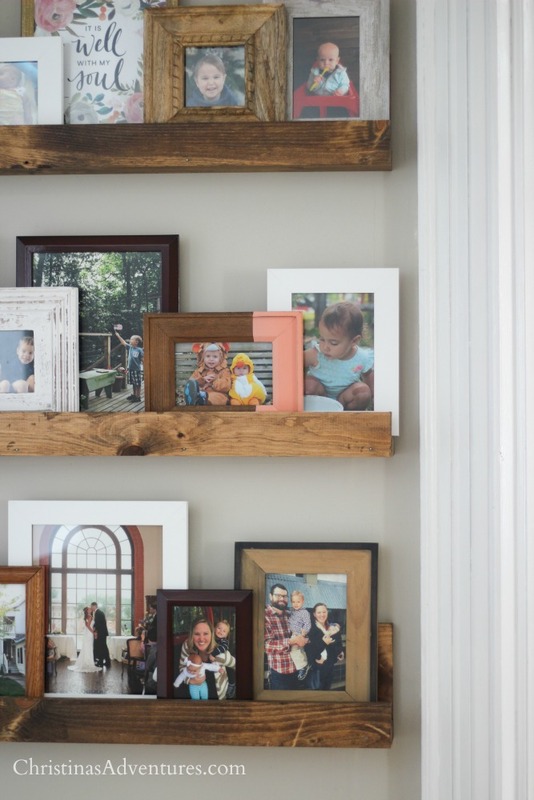 Learn how to make this easy DIY picture ledge on a small budget. 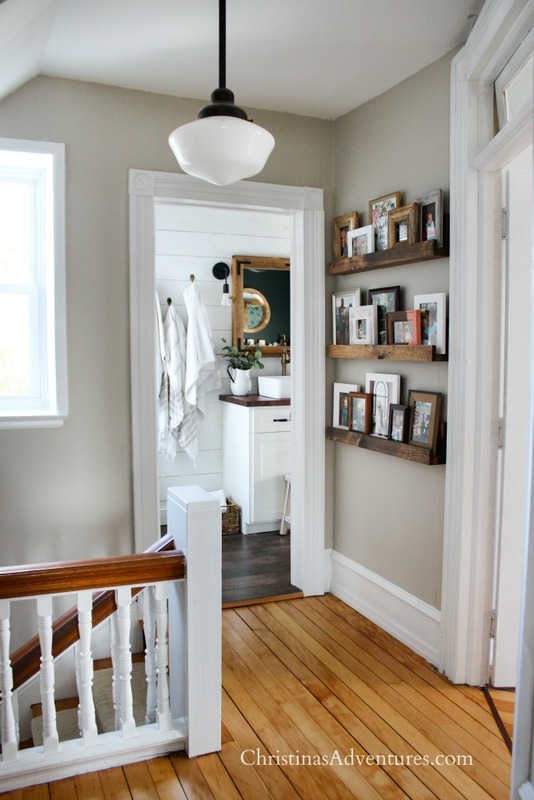 Perfect for displaying pictures in a hallway! 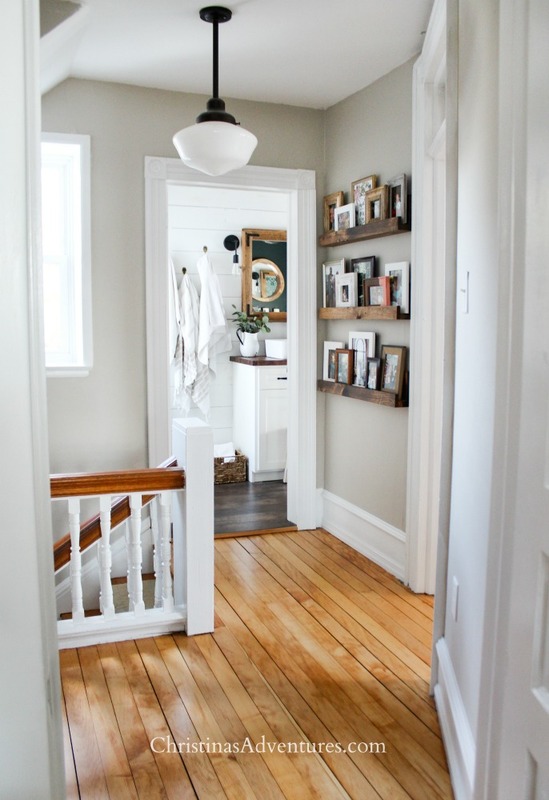 Our upstairs hallway is finally finished! 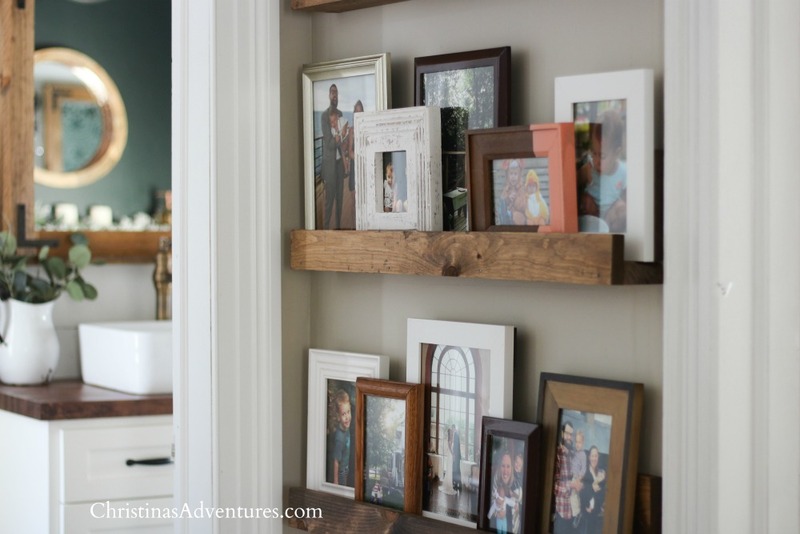 The picture ledge shelves are one of my favorite recent projects. Simple, budget friendly, and totally customizable. I love that these cost us under $20 to put together, and they really make a big impact in our home. I imagine that they could also look really sharp painted black or white, or with natural wood on a white wall. Then you could get really creative with the actual frames! They could look amazing with black and white photos and simple black frames with wide white mats…the possibilities really are endless. If you hate the idea of DIY – here are some ones you could buy! The building process is VERY simple. I promise you can make these confidently even with zero DIY expertise. 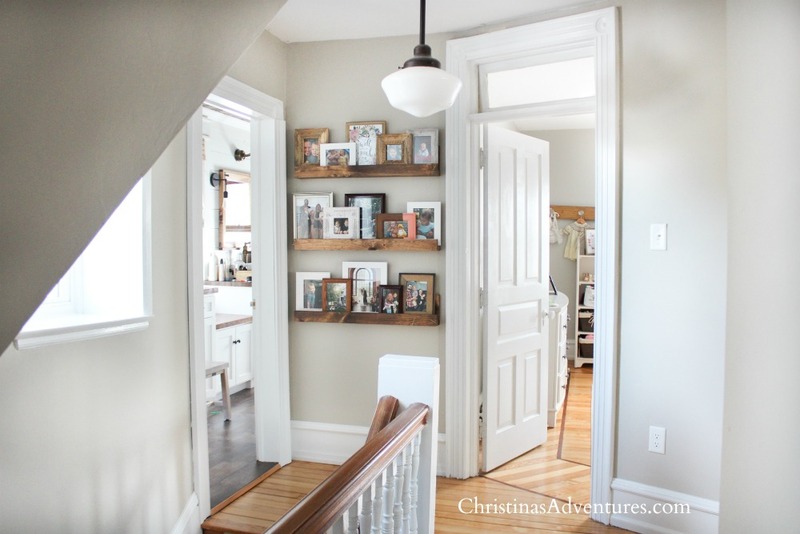 We actually used the exact same tutorial as we did for these shelves in our kitchen area. We just made them shorter to fit this smaller wall, and put three on the wall instead of two. 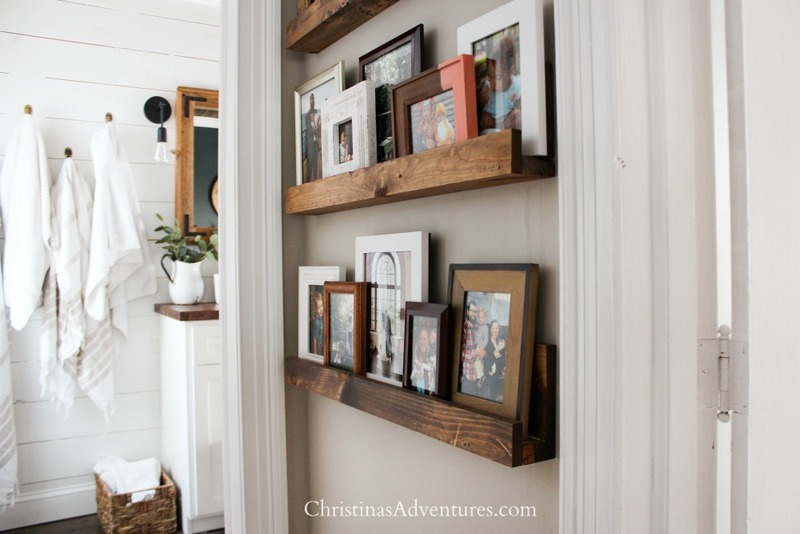 I wasn’t sure whether to do two shelves or three on this wall. I asked my sweet Instagram friends for their opinions and it was pretty split! What really helped me was using painters tape to mark the wall before we made a decision. 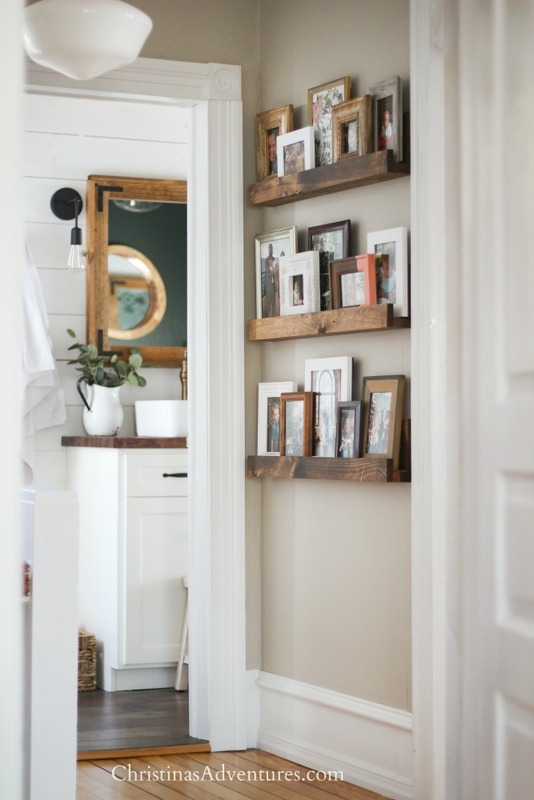 I loved how the three shelves filled the space so much better than the two, and that trick really helped me to make up my mind. We screwed our shelves directly into the wall (make sure you go into a stud if you do this). 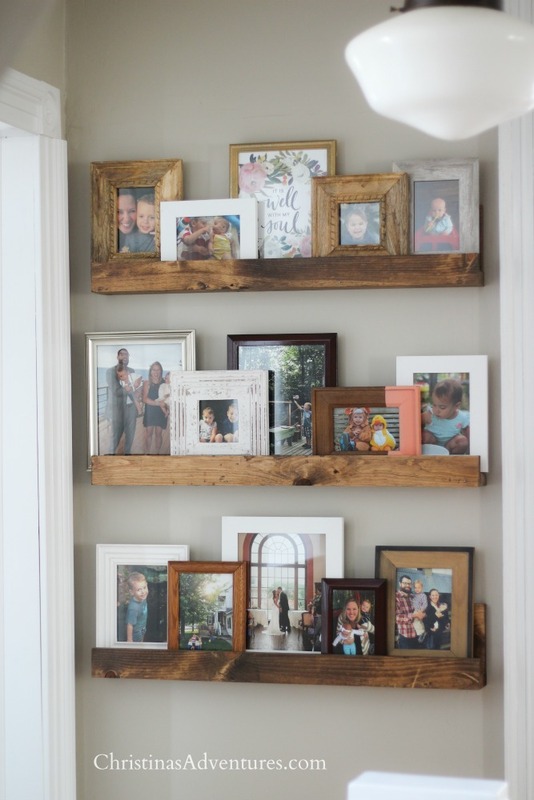 They’re very securely on the wall and we LOVE how they look! 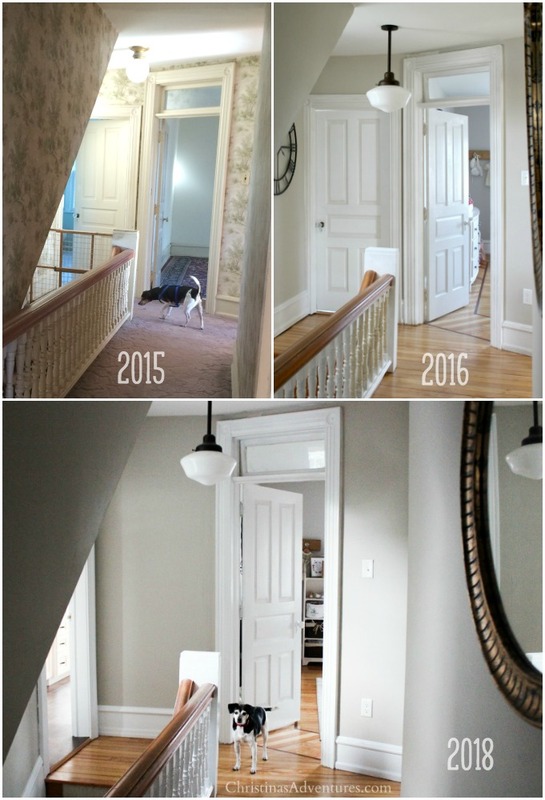 Can you believe the transformation this hallway has gone through?? 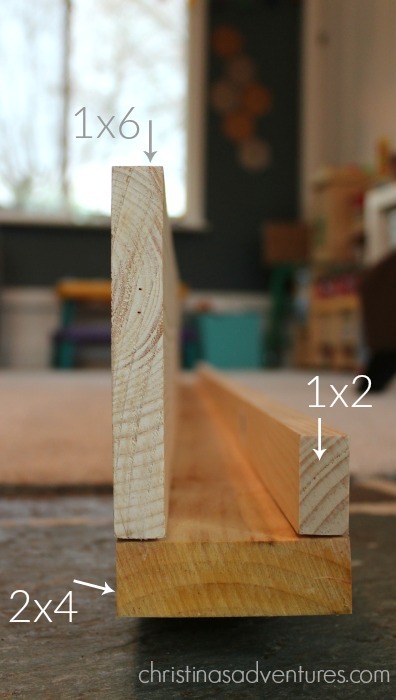 If you missed our EASY hack for how we replicated our old house molding – come see the tutorial by clicking here. Curious about our wall color? 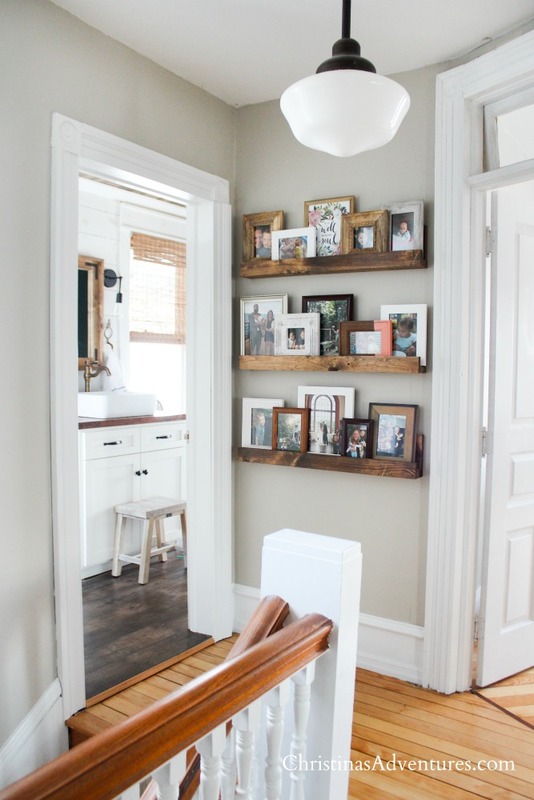 Come see our whole house color scheme in this post! 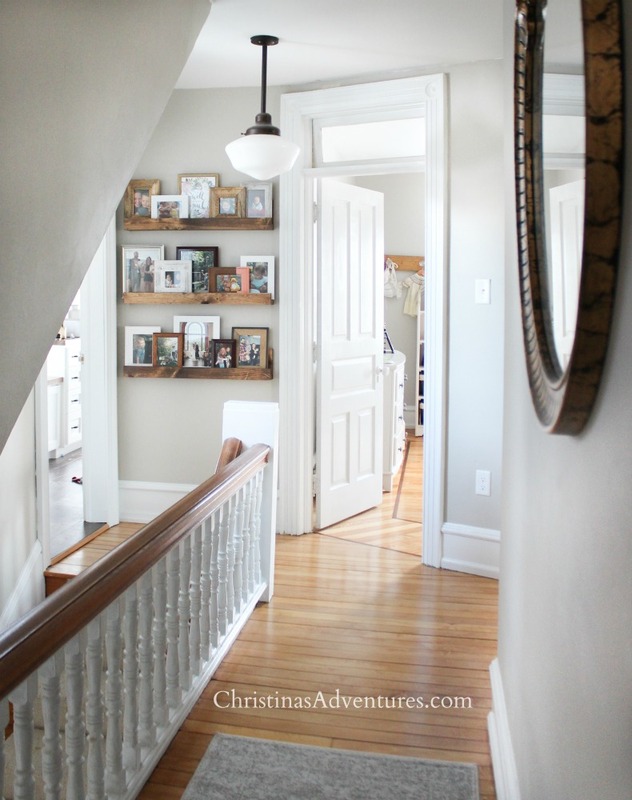 See LOTS of options/variations of where to buy our schoolhouse pendant light by clicking here. If you liked this tutorial, please share with others and save for later by pinning here! So glad this popped up on my feed! We are building my Momma a small house at our house and we have been going through her old house and mostly taking pictures out of old frames and keeping some of the nicely framed ones. Some are wood (different shades) some are pewter some are gold. I really didn’t know what to do with this assortment because I couldn’t imagine how to display them in her new small home. INTIL NOW! This is perfect! yes!! So glad to hear this! Send me a picture when you’re done – I’d love to see it!